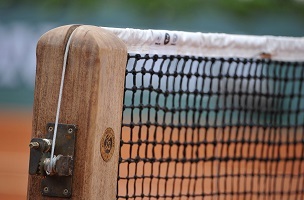 Everyone today is itching to know… What is the name of the unseen American reporter who on Monday opened a French Open post-game press conference with wrong-headed congratulations to match loser Nicolas Mahut? On Twitter, some folks are clamoring for the credentials of the Yankee journalist (stringer?… blogger?…) to be revoked. Elsewhere, readers of Yahoo Sports, Bleacher Report and other outlets are looking to call out – by name – a reporter who went on to admit he had not watched the match in question. To make matters worse, the journalist tried to weasel out of “le fiasco” by blaming someone else for having told him that Mahut had beaten first-round opponent Mikhail Kukushkin. At press time, this cringe-worthy “Congratulations!” exchange had not been meme-d. But that is almost sure to follow, and if-when it does, one good splice option might be to sync up the appropriate John McEnroe response.